ABA manufactures a large variety of machines which are designed to fill a wide array of containers. We can accommodate filling cans, bottles, drums, and pails and manufacture both inline and push across (z-frame) machines. ABA-M425 – ABA-M425 is a 2 head, volumetric filling machine which was designed to fill 5-gallon pails. This is an example of some of the pail filling equipment we manufacture, and features a 5-gallon lid placer and roller lid press to close these pails. 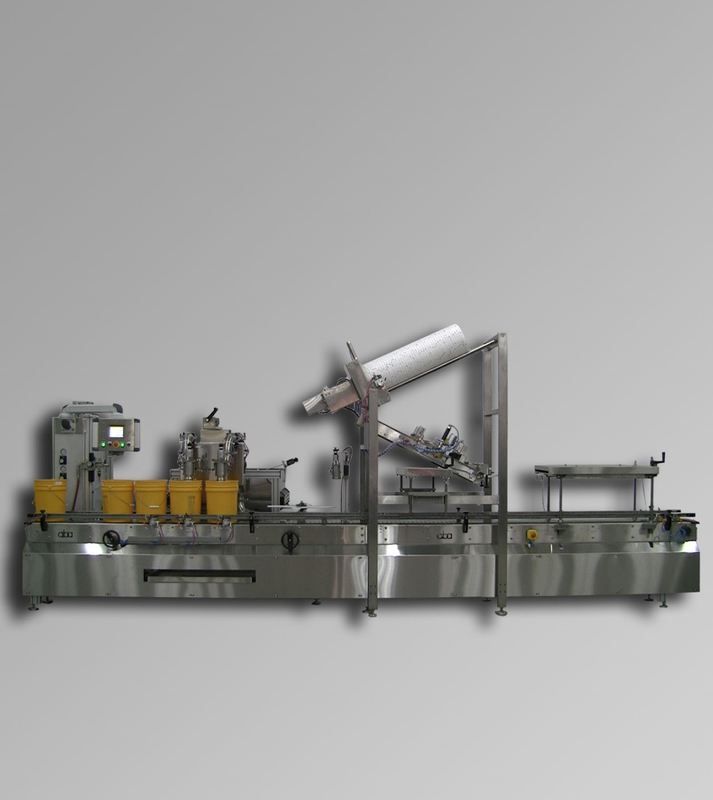 ABA-M405 – This is a semi-automatic net weight filling machine designed for a C1D1 area. This machine features 2 different fill heads to fill different products from different sources. Head 1 has a proportional valve and is designed to be hooked up to a large tank or hopper for bulk filling. Head 2 is fitted with a small, stainless steel tank on the back of the machine and is designed for small batch filling. 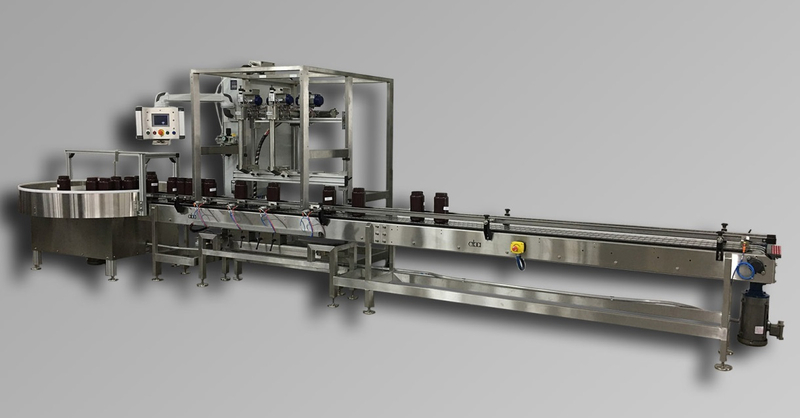 ABA-M400 – this net weight filling machine is designed to bottom fill tall bottles and is also made to fit C1D1 regulations. The fill carriage is controlled by a pneumatic cylinder which provides position feedback and can track the fill lance height based on container weight. 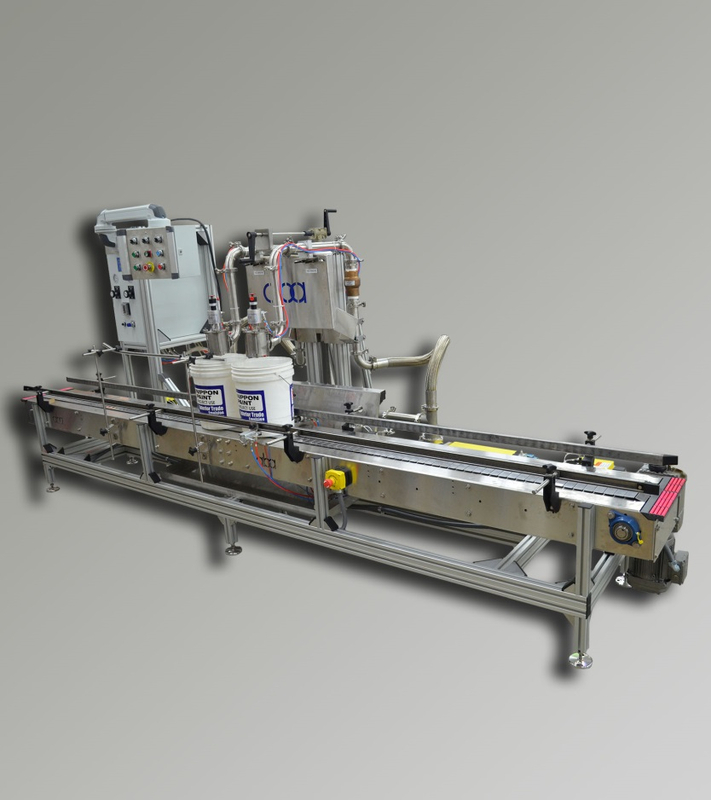 ABA-M376 – This pneumatic machine is another piece of volumetric pail filling equipment. It features swing frame fill heads and our 1-gallon double acting volumetric piston pumps. Although this machine has 1-gallon pumps, it can efficiently and quickly fill 5-gallon pails with a simple adjustment to stroke length and number. ABA-M396 – ABA-M396 is a top fill net weight filling machine designed for a C1D1 area. 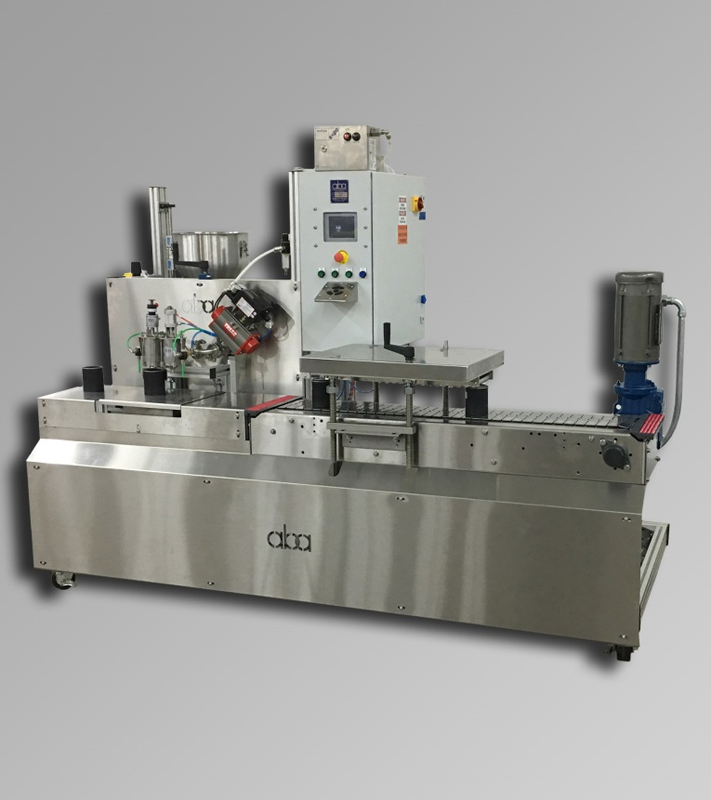 This 4 head machine also features a lid dropper and roller lid press as well as a lid crimper. It is designed to fill and close 5-gallon pails.